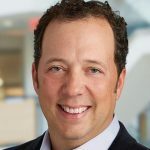 Jason Mann is responsible for growing IoT revenue and providing global focus, strategic direction and alignment across the SAS IoT analytics portfolio. He oversees the research and development, product management and marketing, and execution of the sell-through strategy across the portfolio. “My job is to empower R&D teams to innovate and create the forward-looking solutions that enable customers to seize the opportunity inherent in IoT, solve specific business challenges and capitalize on the insights mined from the data,” said Mann. Prior to his current position, Mann served as Director of Product Management for Industry Solutions and the Internet of Things where he set the strategic IoT direction for SAS. He was also responsible for product management of the manufacturing and supply chain, retail, energy, and health and life sciences industry solutions. Prior to that, he served as Manufacturing Industry Strategist where he led the internal and external positioning of SAS’ distinctive competence and value to the manufacturing industry. Before joining SAS in 2003, Mann worked at Nortel Networks for 10 years where he led the multiyear design and implementation of global manufacturing operations and order management systems. Mann received a bachelor’s degree in industrial engineering from North Carolina State University.